As you no doubt already know, Microsoft’s Surface project has hit the 2.0 mark. Once a pie-in-the-sky research project, Surface is now a sleek and greatly improved product that is sporting a price tag ($7600) low enough to spark real demand. We scrounged up (found it on YouTube) a very early commercial that demonstrates just what the Surface 2.0 can do. While the actual clip is dull, it is illustrative. 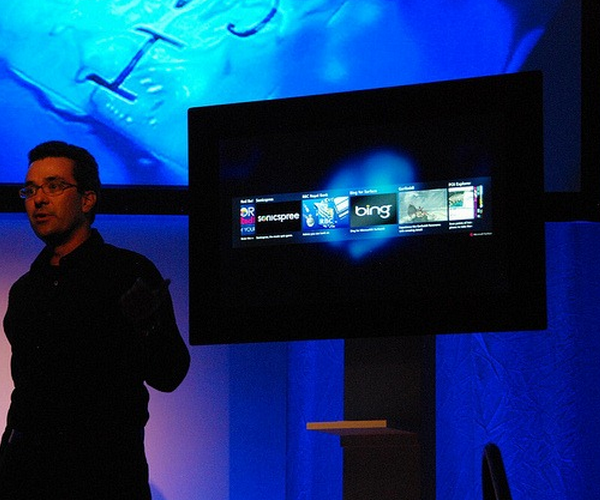 For more information be sure to read our previous coverage on Surface 2’s unveiling.